Comprehensive financial planning and investment strategies designed to assist individuals going through a life transition make well-informed, important decisions related to their wealth. Going through a divorce is never easy. Whether you are just contemplating or have already begun the process, we are here to help. We can show you the future impact of the financial decisions and division of assets made today so that you can make the right choices for your tomorrow. Why work with Beacon Pointe Wealth Advisors? We have a CDFA® on staff to help with financial planning before, during and after divorce. 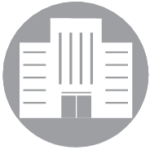 We can assist busy attorneys with determining the settlement in a tax efficient manner. We can assist with being the financial expert if choosing Mediation. We will be there every step of the way. We work alongside therapists and personal coaches to help couples understand money issues and support vision setting for a bright future. A Certified Divorce Financial Analyst™ (CDFA®) is one who specializes in the financial issues surrounding divorce. The role of a Certified Divorce Financial Analyst™ is to assist the client and his/her attorney how the financial decision made today will impact the client in the future. A CDFA® uses his or her knowledge of tax law, asset distribution and financial planning to achieve an equitable, often agreeable, settlement. 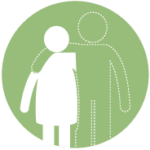 How do our CDFA®’s work at Beacon Pointe? 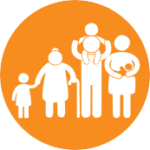 We provide an alternative way to help make the divorce process simpler, affordable and equitable to all parties involved. We work as a financial neutral with attorneys, therapists and mediator’s as an extra layer of representation and support. We work with you to see the impact and affordability of your proposed settlement. The impact of divorce can affect many, including children. We understand the delicate nature of this transition process for all involved and help make the transition as easy as possible through our holistic approach to financial planning. When dividing assets, it is of paramount importance to consider your full financial picture. Tax implications regarding the assets involved can have a major impact on your long-term financial well-being. We can help you navigate the tax complexities related to the division of assets. A new path lies ahead of you and we are here to be your support system as your personal and financial journey evolves. We believe in true life fulfillment and can build a financial plan that gives true meaning to your life and legacy goals. Financial independence can be a liberating experience. The women of Beacon Pointe’s Women’s Advisory Institute authored a book and put together helpful guides meant to be a quick and easy resource for you. 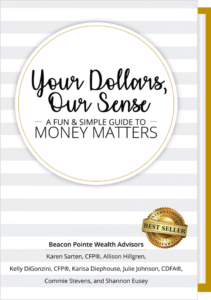 Your Dollars, Our Sense: A Fun & Simple Guide to Money Matters is a quick read that makes sense of a variety of topics including credit, saving priorities, investing, home ownership, insurance, marriage, children, retirement, estate planning and much more. As an International Best Seller having ranked #1 in six different business and finance categories, this book makes for a great shower, birthday and graduation gift, and a phenomenal read for any age. To anyone who has thought, I should really know more about my finances, this book is for you. To anyone who has thought, There is just too much to know, this book is for you. Flip through or read cover to cover, it’s totally up to you! Connect with one of our Financial Planners today. We are here to be a trusted partner with you on your personal wealth journey. Please contact us if we can be of service.